A review of Morsel Bakery's marijuana cookies. I was confused after opening a package of cookies by S.F.-based Morsel. I’d expected a denser edible, but this bite-sized, high-potency (50mg) treat appeared chewy, soft, and closer to a brownie in texture. I even smashed a piece of it between my fingers like Play-Doh. 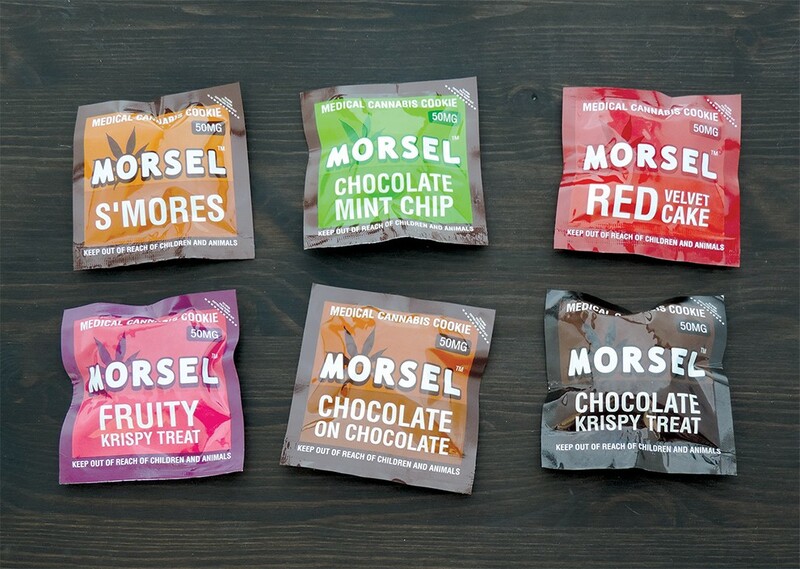 There are 10 different Morsel flavors currently available on the market. I was able to test out five — and I was pretty underwhelmed. Without it being written on the packaging, I would have had a hard time discerning each flavor, except for “Chocolate On Chocolate,” because, well, it’s chocolate. They all shared the same indistinguishable, muted sweetness and spongy texture, however, and the chocolate peanut butter flavor was particularly bland and chalky. The sea salt caramel cashew was OK, but lacked enough salt to make it really pop. And the s’mores edible was decent — but didn’t really taste like s’mores. The chocolate krispy treat was the best, both flavor and texture-wise. A nibble of each flavor equals just a bit more than the recommended serving, which is about one-quarter of the entire cookie. It took a couple hours before I started to feel anything. Again, I was underwhelmed. The high was pretty standard. I was in a mellow mood, and felt a subtle body relaxation, which plateaued with a sensation like I was moving a bit slower than usual. My hunch was that if I nibbled any more of the cookie, it would just put me to sleep, not increase my buzz. Find out more at MorselBakery.com.